WPP's health practice and the London School of Hygiene and Tropical Medicine (LSHTM) are to work together on sharing knowledge and expertise in tackling global health challenges, in a collaboration that began this week. The partnership, which was announced on World Health Day (last Sunday, 7 April), is the result of two years of talks and marks the first time that LSHTM has partnered a commercial group such as WPP Health. The collaboration aims to develop initiatives to transform health programmes and improve health equity around the world. It brings together LSHTM’s expertise as a leading research university for public and global health with WPP’s network of health comms specialists. 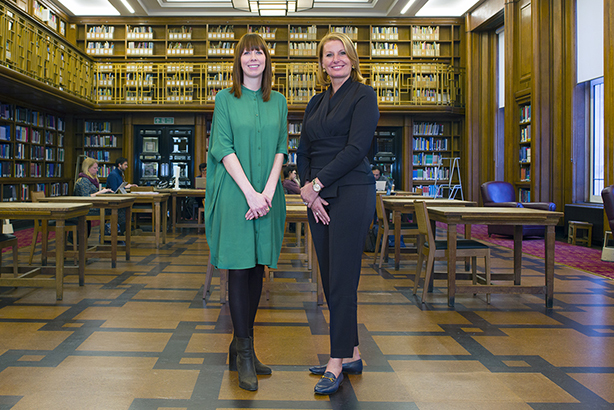 Under the partnership LSHTM’s students and staff will be given comms guidance by WPP, to help academics communicate their research findings to a wider audience. WPP’s health practice, meanwhile, will benefit from collaborating with some of the world’s leading health researchers, further expanding its understanding of major global health issues. "The combination of effective communications and a deep understanding of health, policy and science is fundamental to improving health worldwide," according to Professor Peter Piot, LSHTM director. "Mixing our research and academic leadership in health with the communications expertise within WPP Health Practice will add value to the work we do." Claire Gillis, international head of WPP’s health practice, said the partnership "presents a powerful opportunity to translate world-renowned research into communications that transform health". She added: "The collaboration strengthens our understanding of disease and populations and gives LSHTM access to extraordinary creative talent to shape evidence-based communications that address global health needs." LSHTM has hundreds of scientific research partners all around the world, with its work ranging from testing the effectiveness of Ebola vaccines to looking at ways to reduce reliance on antimicrobials to lessen the threat of antimicrobial resistance. But this is the first time LSHTM has collaborated with a communications group in this way, according to the institution's head of communications and engagement, Katie Steels. "In academia the goal is often to publish your research in a prestigious journal, and then you move on to the next piece of research and repeat. But if we want our research to have real-world impact we need to translate those findings for different audiences and work to ensure that they become policy and practice," she said. "Partnering with WPP Health Practice will give our academics access to the world's largest group of health communications experts, who can show us how to use creativity and technology to do that translation piece," Steels added. The two organisations worked together on the Women Leaders in Global Health conference at LSHTM last November, which brought together 900 people from 80 countries to examine ways of advancing women in global health leadership and move towards gender equity. Under the new partnership, LSHTM and WPP Health Practice are developing a communications skills training programme for MSc and doctoral students, as well as an innovation event series designed to stimulate new ideas, systems and tools that disrupt the current way of thinking in health.